We assist you with your communication and offer you a great location that is just waiting for your creativity. 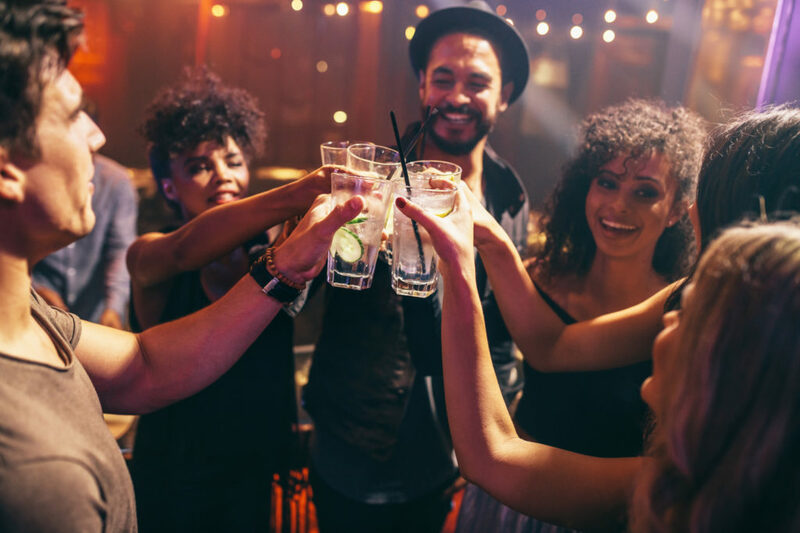 Together, let's encourage social media users to commit by offering them an original experience. 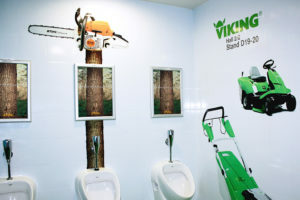 STIHL selected NEXT ONE to organise an offbeat event-driven campaign at Paris Expo Portes de Versailles. Marketing with a touch of contextualised humour: "We'll wait till you finish before cutting it off!". Here, a washroom was completely decorated with displays and product positioning. It offered exceptional visibility during the Foire de Paris and was seen by the thousands of visitors who inevitably visited the washrooms. To reach 15-25 year olds, the main target of the new "Freddy" movie, Warner decided to give its young public a scare in washrooms. A surprising and spine-chilling decor was put up in the washrooms of over 200 trendy bars and restaurants in France. The system, devised by Obiwan marketing agency, consisted of sticking claw marks on the toilet doors and a "false" pool of blood on the floor for a guaranteed impact! 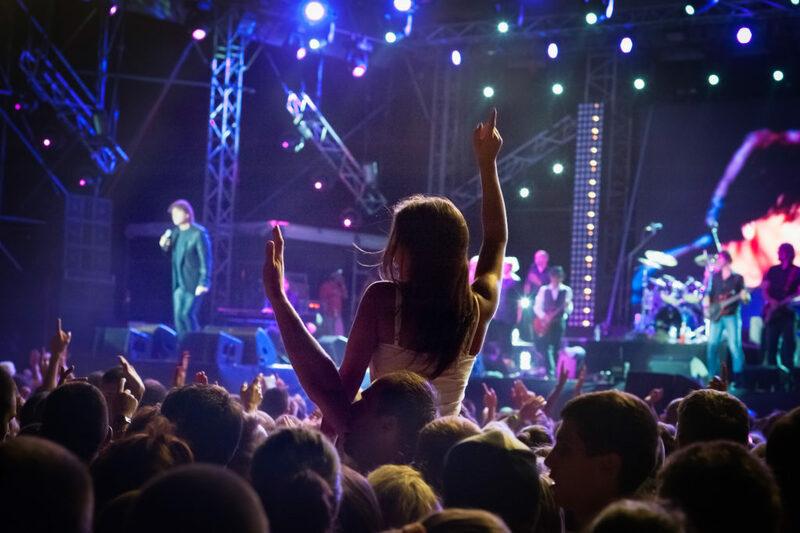 This original and effective operation reached a total of 600 000 young people in just 14 days. 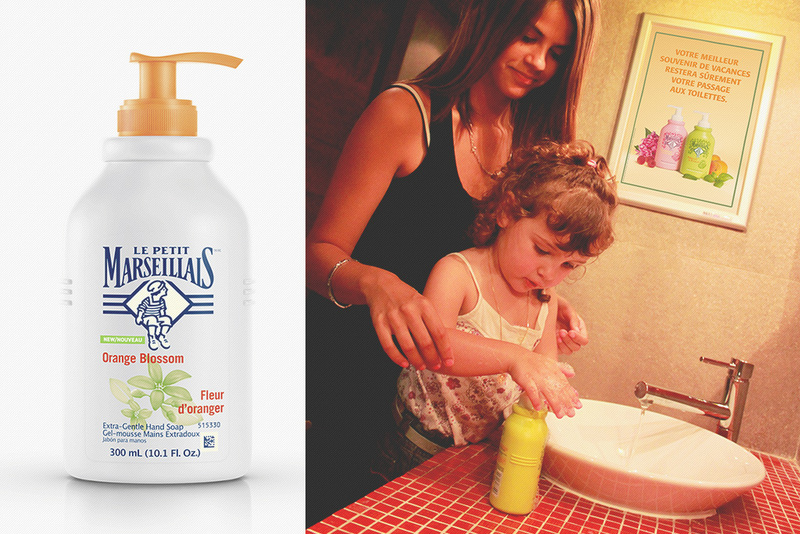 Le Petit Marseillais chose Next One to organise the launch of two new scents for its foaming hand wash.
A display campaign (465 displays) and samples of the foaming hand wash in washrooms of bars, brasseries and family restaurants. 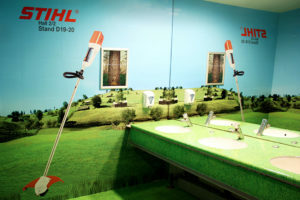 With a visual specifically designed for indoor communication and some of the good-natured provocation and humour that the hygiene and beauty brand likes to use, the campaign's goal was to encourage people to try the brand in a context (holidays) and a location (washrooms) where families are most receptive to advertising messages.